The mechanical properties of the cell’s structural components influence the size, shape, and functionality of the cell throughout its division cycle. For example, a combination of the plasma membrane’s edge tension and bending resistance sets a lower bound on cell size, while the membrane’s tear resistance sets a pressure-dependent upper bound on the size of cells lacking a cell wall. 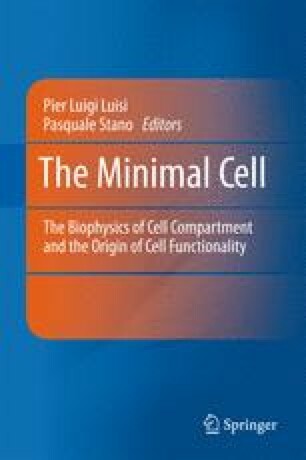 The division cycle of the simplest cells may be dominated by one or two principles such as the maximization of entropy, or the minimization of energy or structural materials. By studying colonies of cells, modern and fossilized, with techniques from classical and statistical mechanics, a partial history can be charted for the appearance and properties of the simplest cell designs.